To review the thoughts, actions and performance of President Marcos, is first to inquire into the political, economic, and social landscape as well as the environment of his time. Prior to the declaration of martial law, Marcos made several key decisions that could impact the course of Philippine diplomatic history, among them the creation of ASEAN in 1967, dispatch of engineering battalions to South Vietnam, and the expansion of Philippine-Asian relations, particularly with the socialist countries. In the mid-1970s, there had been dramatic changes in the regional and global configuration. In Europe, these were seen in the restoration of the monarchial rule in Spain, revolutions in Portugal, and the rise of the IRA (Irish Republican Army) and Red Brigade which influenced dissident groups to sow terror in France, Italy, the Netherlands, Sweden, the United Kingdom and West Germany. Within the African continent, the inception of civil wars in Angola, Ethiopia, Somalia, Uganda, Tanzania, Zimbabwe (Rhodesia), Namibia, Central African Republic and Equatorial Guinea caused much destruction and loss of lives. Asia, in particular, was not spared from international upheavals and development as seen in ensuing battle between North and South Vietnam; the admission of the People’s Republic of China into the United Nations in 1971; the establishment of diplomatic relations between China and the United States in 1978; the Indo-Pakistani War of 1971; the border war between North and South Yemen; the Islamic Revolution in Iran; the Soviet invasion of Afghanistan; and the Arab-Israeli conflict. It is pathetic that over a decade our domestic policy has been subordinated to our foreign policy, or what passes for that, with our dealings with other countries… We must reverse this course, if the nation is to survive, by subordinating the foreign to domestic policy, by freeing ourselves from foreign dictation, by maintaining trade relations with any country irrespective of its ideologies, political institutions, and form of government, whenever such relations would prove beneficial to us. By industrializing with our own capital, generated from our savings and supplemented by foreign loans. Interestingly, President Marcos’ foreign policy thrust echoed the view. We seek a policy of mutual accommodation. We seek friendship with all countries of the world regardless of race, creed, ideology and social system, and we promote as much relations with them in all fields of activities. We establish friendly relations with all countries on the basis of mutual respect for each other’s national sovereignty, independence and territorial integrity, and the principle of non-interference in each other’s internal affairs. We seek to widen our relations with any country regardless of ideology to promote development and progress for mutual benefit, and the same time enhance our physical security. The Cold War between the United States and the USSR has been challenged with the rise of economic powers such as the European Economic Community and Japan. These developments coincided with the changes in the international system when the bipolar world was being transformed into a multipolar one. The global influence of the US and the USSR weakened as certain events took place such as the Vietnam War, the Sino-Soviet Conflict, and the rise of Japan and the European Economic Community as potential new sources of economic relations. Post-war Asia is a continent in turmoil. The political upheavals that brought about independent statehoods in Asia left a trail of violence, discord and bitterness. Aggravating this is the confrontation of the super-powers which has drawn Asians, still weak with their newly won freedom, into the vortex of the cold war. Today, communism’s maneuvers and power plays press upon us, with even greater relentlessness than those of the western powers it has displaced. The spread of communism in the Asian continent was unprecedented. After the Bolsheviks imposed a communist government under the Soviet Union in 1917, Mongolia soon followed in 1924 to become the Mongolian People’s Republic. From 1924 on, its policies echoed those of its patron and protector, the USSR. The Korean Peninsula was so convulsed with ideological conflict that after World War II, it was divided in 1948, with North Korea proclaiming itself a communist Democratic People’s Republic of Korea and South Korea became the Republic of Korea. In 1949 the communist armies under Mao Zedong seized power in Beijing and proclaimed the People’s Republic of China. In 1954, Vietnam was ideologically partitioned at the 17th parallel. The establishment of diplomatic relations with Socialist countries was based on a hard-headed assessment of our national interest vis-à-vis the changing global situation. At the same time, it was intended to broaden the Philippines’ economic windows to the world in anticipation of the expiration of the Laurel-Langley Agreement with the United States on July 3, 1974. Vietnam in mainland Southeast Asia became an ideological battleground between the US and USSR in the 1960s. Once under the French colonial rule, an earnest desire for independence reverberated throughout Vietnam with the birth of a communist movement in Paris, France under Ho Chi Minh in 1920. The formation of the Indo-Chinese Communist Party in 1930 would set the stage for the anti-French and later anti-Japanese crusade. The Viet Minh was organized by Ho Chi Minh in 1936 to arouse anti French sentiment. When the Japanese took over Vietnam during World War II, Ho Chi Minh became the prime target for arrest. When the French rule was restored in Vietnam at the end of World War II, Ho declared the formation of a Democratic Republic of Vietnam (D.R.V.) on September 2, 1945. The French defeat at Dien Bien Phu on May 8, 1954 resulted in the Geneva Conference where France signed the agreement on the cessation of hostilities in Vietnam on July 20, 1954. This marked the end of the French colonial rule in Indo-China. Vietnam became independent of France in 1954 with the recognition of the existence of two governments, the Democratic Republic of Vietnam in the north and the Republic of Vietnam in the south. Thus, Vietnam was virtually divided on the 17th parallel, with the north becoming communist and the south rejecting the elections that had been called for because Ho Chi Minh was very popular among the Vietnamese and he would surely win a popular vote. 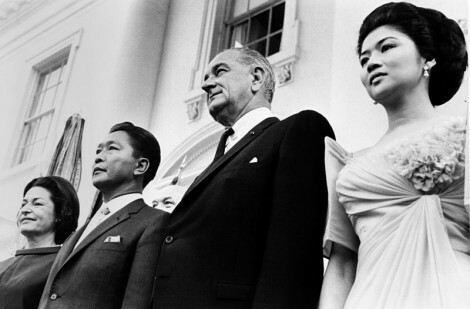 The assassination of President Diem on November 2, 1963 triggered instability in South Vietnam. Following Diem’s demise the government of the Republic of Vietnam passed into the hands of the military, as American participation in the war escalated. The US and North Vietnamese negotiators met at Paris on May 15, 1968 to discuss the terms for a complete halt of the bombings and to arrange a conference of all interested parties in Vietnam. A ceasefire was finally negotiated in January 1973. The withdrawal by the US of all its combat forces from South Vietnam in 1973 led to the eventual collapse of the Saigon government in April 30, 1975. The leadership in Hanoi witnessed the realization of its decade old dream of a unified Vietnam under the direction of the Vietnamese Communist Party. Archie B. Resos finished his master’s degree in Asian Studies from the Asian Center, University of the Philippines, Diliman in 2008 with a thesis titled “From Dictatorship to Democracy(1980s-2005): Tracing The Changing Contours of South Korean Political Landscape.” Currently he is a Ph.D. Candidate in history at the University of Santo Tomas with a dissertation titled “Charting a New Diplomatic Direction: The Foreign Policy of Ferdinand Marcos with the Socialist Countries.” Professor Resos is teaching diplomatic history at the University of Santo Tomas, Faculty of Arts and Letters, Manila, Philippines.